Do you have a hard time getting enough nutrition and vitamins in your kids each day? 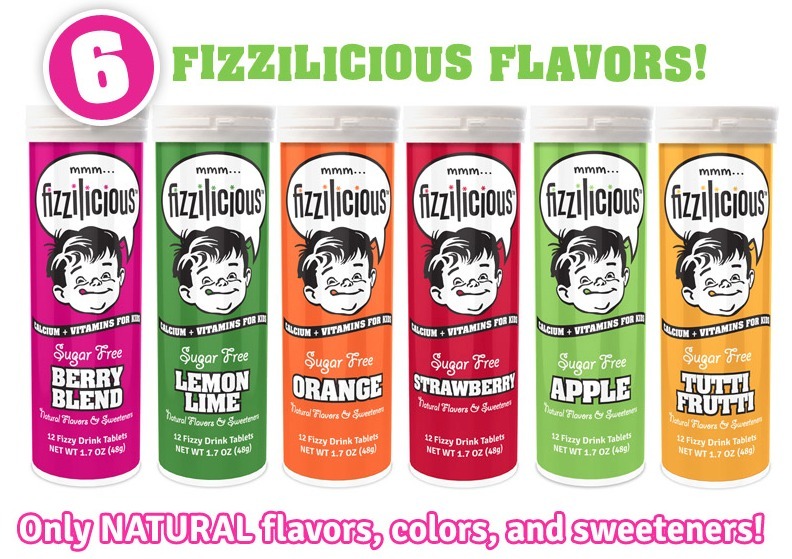 Now with Fizzilicious, your kids can get all the calcium and vitamins they need! This is because it contains the nutrients that you would expect from a quality children’s multivitamin, but combined with an effervescent tablet delivery system that, when added to fresh water, offers faster absorption and better bioavailability of nutrients. HOW TO USE: Drop one tablet in 6 to 8 ounces of chilled water and allow to dissolve completely. Watch it fizz. Drink it down! So what do you think? 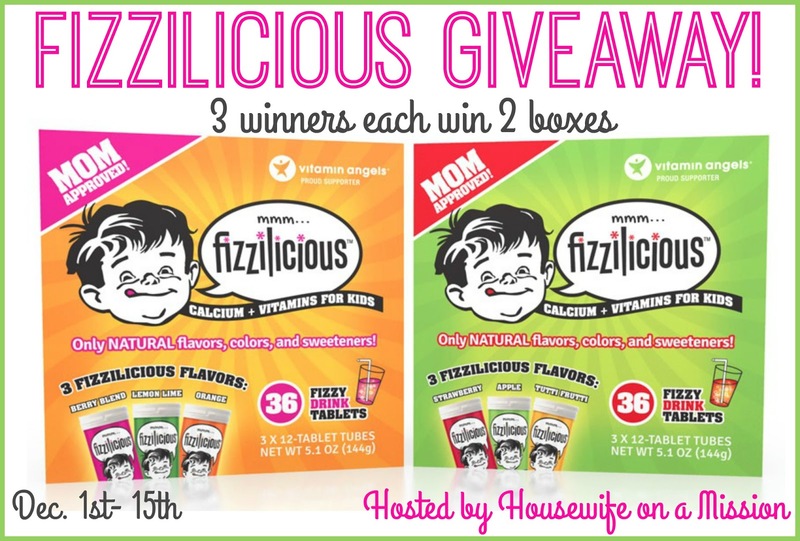 Do you think your child would enjoy Fizzilicious? Three of our readers will each win 2 boxes of Fizzilicious! My children get enough nutrients everyday as I try and make healthy meals and snacks. I do not think my child gets enough nutrients each day, but I try to get him to eat healthy foods. I think he would like this product. Well, I have two very particular eaters. And yes they were born like this. I did not do a thing to make them more picky. It seems it’s texture issues. I will hide things by changing the texture of them, cook them into something else, etc. They will grow out of it. And I would love to win so I can be sure they get vitamins and hydration! They would think this a lot of fun, wouldn’t they?